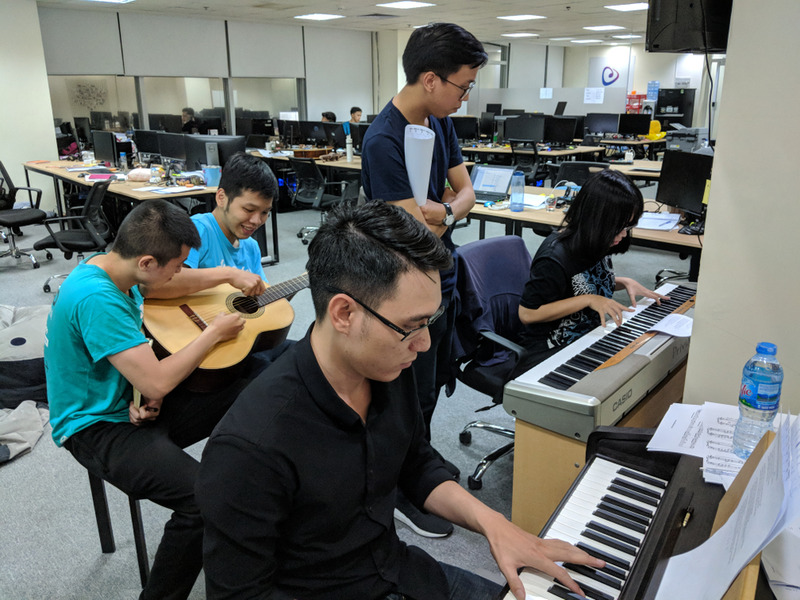 As part of our series of interviews with people across Asia-Pacific who use the Internet as a tool to connect, create and grow, we spoke with Bình Võ, the co-founder and General Manager of Amanotes, an Asian game developer whose team (pictured) is spreading love for music with their apps. Amanotes’ Magic Tiles app is the top piano game in more than 50 countries. I’ve always loved music. My father taught me how to play the piano when I was six and I picked up the guitar and Vietnamese bamboo flute on my own. I also love technology and that’s why I chose it as my major in university. Music and technology are quite different, but they both improve our quality of life. My mission is to combine these two passions and share my love for them with the world with great music game apps. MusicKing, the first music game startup that I founded in 2009, failed. But that experience made me much better prepared for when I and cofounder Cường Nguyễn established Amanotes. We still wanted to focus on our love for music and technology, but we realized that we needed revenue to be viable! So we started out by producing websites for companies in Vietnam. With the income from that work, we funded the creation of Magic Tiles, a game that lets you play different musical instruments like piano, guitar, and drums on your mobile phone. My personal motto, inspired by the late Steve Jobs, is “stay hungry, stay foolish.” Our long-term goal is to build a complete music ecosystem, producing excellent apps for music lovers, and enabling other indie developers to do the same.